Vevo won't be updating its apps or website any more, as the music video distributor is going "YouTube-only"
iPhone cases. They’re usually functional, boring, and sometimes occasionally good-looking. Well, luxury accessory manufacturer Hadoro has the cure for that boring case if you have an iPhone X. 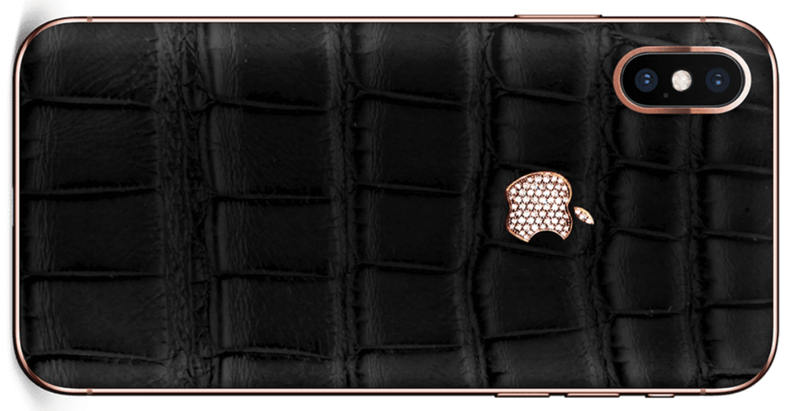 The company makes cases that start at a measly €4,500 — that’s about $5277 — for materials like gold, graphite and alligator leather. Other materials for a bit more include marble, stainless steel, carbon fiber, and sapphire glass. If you’re really making a lot of money and want to blow some of it on something fun, you can spend €8,900 or about $10,436 on a case covered in real diamonds. Hadoro is even selling a 24-karat gold iPhone X case commemorating the royal wedding if you’re into that kind of thing. There are only going to be 99 of the Harry & Meghan gold cases, so act now! Investment bank Morgan Stanley thinks that Apple’s services business is undervalued, and analyst Katy Huberty thinks it is what will drive growth in the company in the future, not iPhone sales. Morgan Stanley has adjusted its guidance on Apple’s shares as a result, raising the stock target price from $200 per share to $214. Shares in Apple are currently trading at about $188. What’s driving the growth in Services operating profits? The App Store is expected to provide 45 percent of the growth over the next five years. Huberty predicts that by 2022, services will account for 27 percent of Apple revenue and 40 percent of gross profit dollars. Huberty’s opinion is similar to that made by Loup Ventures analyst Gene Munster last week. Are you looking for a more powerful replacement for Apple’s camera app? Obscura 2 launched today in the App Store after a lengthy beta test that I was part of. The app provides a control wheel dial to make access to advanced controls easy, and making changes to exposure, focus, shutter speed and ISO is done with permanent buttons located on the left and right sides of the screen. There’s a handy library browser that slides into view with a swipe from the top of the iPhone screen, and tapping on any image not only opens it for editing and sharing, but provides detailed metadata information as well. The app is on sale at a launch price of $4.99, and additional filter packs can be purchase for $1.99 each. Congratulations to developer Ben McCarthy for a great app, and Apple World Today will have a full review of Obscura 2 in the near future. If you’ve been on YouTube trying to watch music videos, you’ve probably noticed that most of them are labeled with Vevo, the name of a record-label-owned distributor of music videos and related content. In the near future, YouTube is the only place you’ll be able to get Vevo content, as the company is shutting down its apps for iOS and other operating systems as well as its website.